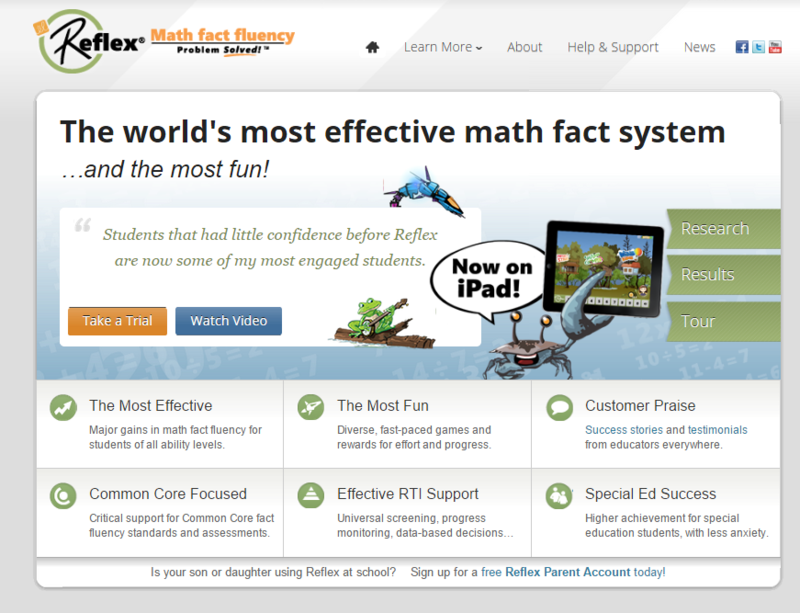 Reflex Math is designed to help students memorize their math facts to the point of nearly instant recall. Most students LOVE Reflex because it makes learning fun. For most effective learning, students should play Reflex until they reach the "green light," 5 days per week. For most students, this takes about 15 to 20 minutes per day. Each day, students practice a limited number of facts. Time spent beyond the "green light," while fun for students, doesn't necessarily help them learn better. Unfortunately, students can't tell how many green light days they have reached during a week. There's a solution to this problem - parents can now create their own Reflex parent account that lets them create their own reports and sign up for weekly email reports. Click the image above for a brief overview of Reflex. Be sure to watch the video.